Lars (Mono) and I have been taking care of this for years, and while it's great to have you guys weigh in, it doesn't seem worth it to me. While I can't speak for Lars, I'm done. A couple of people have asked about cost. 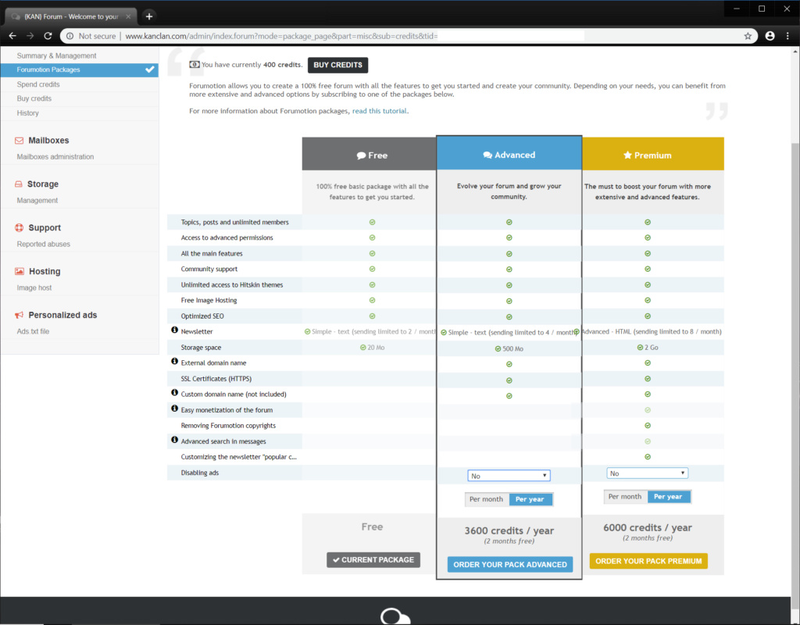 To maintain our domain name, it's 3600 credits. To do that and disable ads too, it's 5260. Per year. We have a 400 credit balance, so we'd need to buy 4000 credits ($50.30 USD) to keep the domain name, and 5000 credits ($63.10) to do both. If you're interested in carrying this yourself, let me know and I'll work with you to move $$ thru my paypal account to the forum. 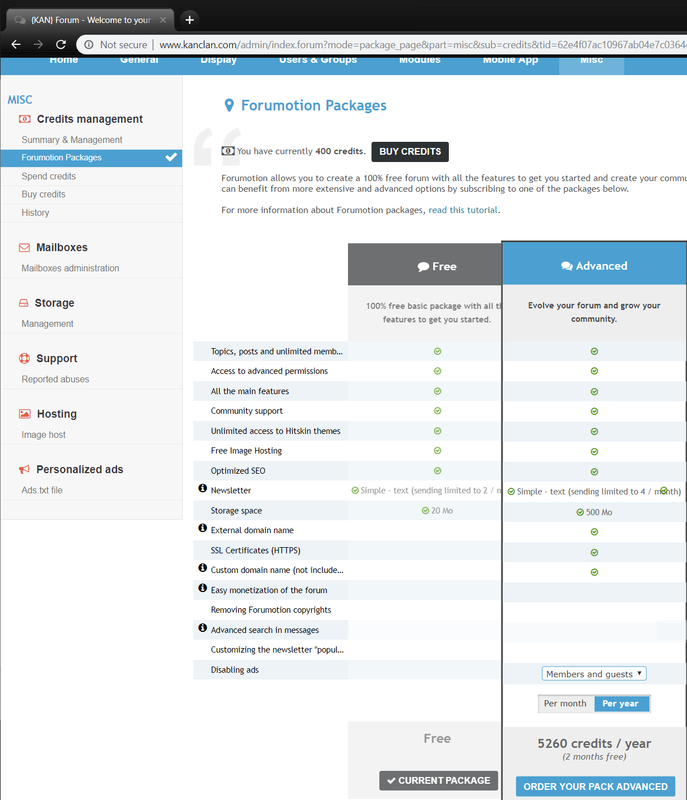 Unfortunately, as far as I can tell, only the forum admins can pay so there's no way you can do it directly. I realize some of you don't know me well, but below is proof of what it costs. If you have other ideas about how to take care of it, let me know and we can try to figure something out. So, Spin would like no ads (and I agree) and cost would be 5260 credits ($63). Screenshot below. Four of us have weighed in (ADW, Spin, me, and I hear, Friz). So, can we split it 4 ways? 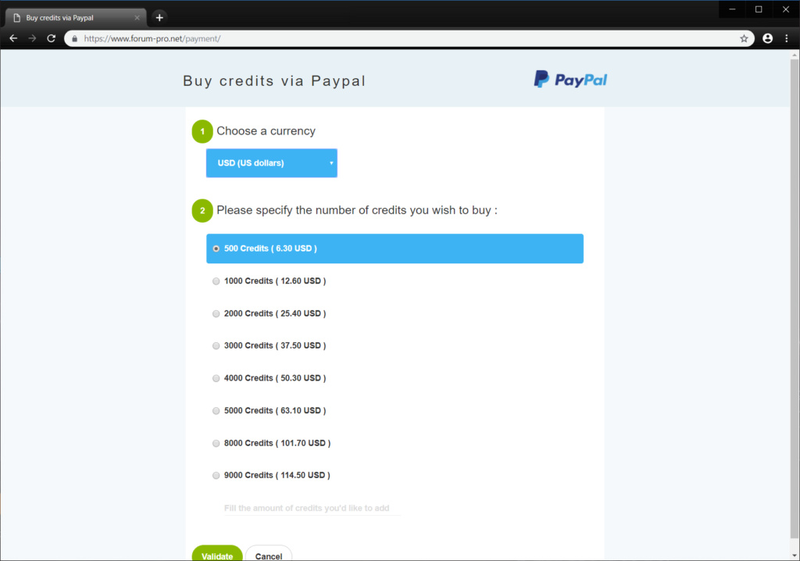 ADW can buy credits directly, Spin and Friz would have to send it via me and Paypal. If you want to contribute and haven't already contacted me, please reach out to me via the forum email link. Spin stepped up in a major way and this has been taken care of. This was just brought to my attention. I am sorry I did not see this sooner. I want to thank Spin for stepping up. I'll do my part. Just someone let me know when/how when time comes.